John Cullinane (see http://en.wikipedia.org/wiki/Cullinet and http://www.cullinaneentrepreneurship.com/) is one of the global software industry's pioneers. He was the first person to develop a "software product business" large enough and successful enough to be listed on the US stock market.. in fact listed with a billion dollar valuation. I've got to know John via Alpha Software, the business behind the software development platform which enables Start Software to build world-class web and mobile applications quickly and professionally. 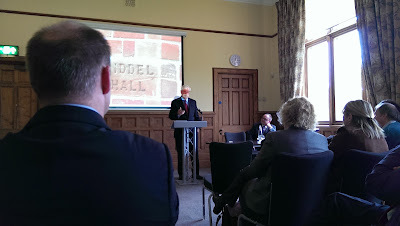 Last Monday I went to Belfast to hear John deliver a fascinating lecture on the role of the economy in conflict resolution around the World. John was appointed by Bill Clinton to lead a business/economic task force during the Northern Island peace process and is still heavily involved in that process today. In fact, during the lecture he was thanked for his personal involvement in the Gasworks development in Belfast (which, co-incidentally, was where I had gone for my morning run). 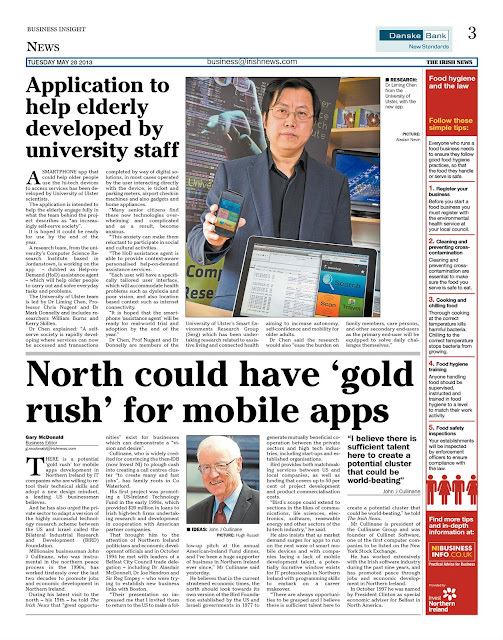 "Robin Bennett and Start Software would be outstanding models to emulate in Northern Ireland in my opinion. That's why I was so pleased that he was able to join us today. 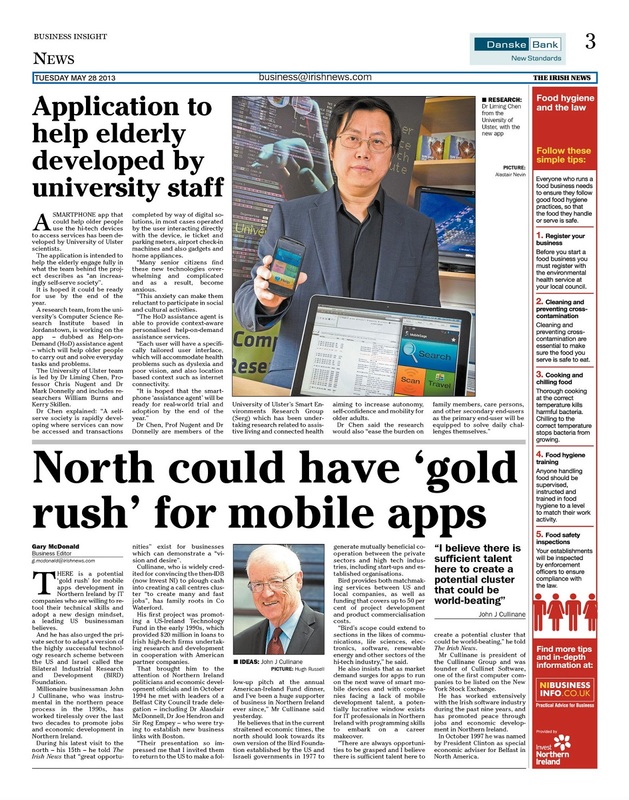 He confirms that it would be possible for NI to become a world leader in mobile application development using Alpha Software's new Alpha Anywhere platform and he is prepared to help them do it". Thanks John for the mention - really appreciated it. 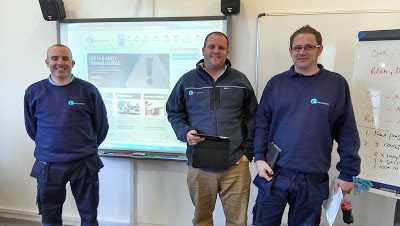 Asbestos consultancy REC have received their initial training in Alpha Tracker, our web-based system designed to increase efficiency and reduce admin within environmental consultancies. REC have offices across the UK and will be rolling out Alpha Tracker and Tracker Mobile over the coming months. This is a maintenance release of Tracker Web Server, the web-based compliance management system for clients of environmental and health-and-safety consultancies. If you would like this update (which fixes a number of minor bugs), please contact the office. 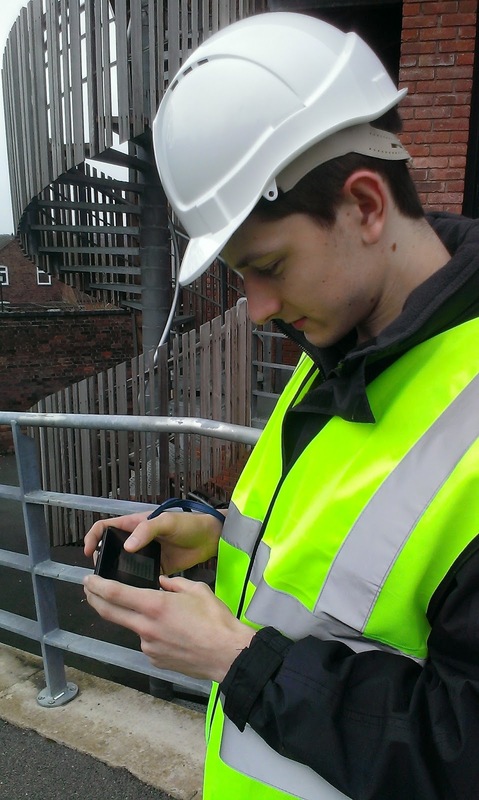 We're testing the latest version of Mobile Data Studio, the software that powers our Tracker Mobile handheld asbestos surveying system as well as our other on-site data capture software. improvement in the Data Window within the server software. We are testing the beta release now and should be in a position to recommend upgrades to our Tracker and Alpha Tracker customers within the next month. Chris Donne and his colleagues from asbestos surveying consultancy Encompassed (www.encompassed.co.uk) have received their Alpha Tracker training today at our training facility in Telford. Alpha Tracker is our state-of-the-art project management, scheduling, on-site data capture and automated asbestos reporting system which is the product of more than a decade of experience in asbestos software in the UK. With his surveyors already familiar with Tracker Mobile after working with the system elsewhere in the industry, the training session was refreshing brief, only needing a half day session to become competent in use of the web-based administration system (Alpha Tracker runs "in the cloud") and on-site data capture and transmission. Chris and his colleagues are using a mixture of iPhones, iPads, Android smartphones and Android tablets - flexibility which is a real strength of Tracker Mobile and unique in the asbestos surveying market. We've just had the final accounts through for our financial year 2011-12 (ending October). Turnover was up 3% which was a respectable increase though only broadly in line with inflation. Our investment in rebuilding and renewing our software line-up (including our fantastic new Alpha Tracker product for environmental and asbestos consultancies) hit profits but will stand us in good stead for years to come. the main window caption is now Tracker Dashboard rather than Tracker Daily Dashboard. Please note that the name of the EXE has also changed in this release from Tracker Daily Dashboard.exe to Tracker Dashboard.exe. Tracker Dashboard is a part of the Tracker and Alpha Tracker product family, sending automated daily, weekly and monthly emails to staff containing action lists, data summaries and dashboards created from Tracker data. Unlike our Tracker Mobile system (which runs on iOS, Android and Windows Mobile devices), this will require a Windows tablet PC running Windows 8 and will incorporate a drawing tool to allow site plans and other diagrams to be drawn and annotated by site staff in the field. The new system will be an alternative front-end for Tracker and Alpha Tracker and will be of special interest to Tracker asbestos consultancies working in the domestic housing market. Please email or call in on 0845 612 2402 if you would like to discuss this new Tracker module. I've been "hacked" - or is "Hackered"?! Our Alpha Tracker diary is pretty cool and even displays a thumbnail image of the person being scheduled so it is easy to see, at a glance, who is doing what and when. I've just been elected as a town councillor and so the team here at Start decided to adjust my thumbnail image... see the results for yourself! Well done Ian (www.bronzelabs.co.uk) for correctly guessing that the Start Software sweets were rhubarb and custard flavour (see http://robinbennett.blogspot.co.uk/2013/04/start-softwares-most-bizarre.html). Ian was presented with his prize (a remote control helicopter) last week. Congratulations! One of the UK's leading asbestos and environmental consultancies clocked up a Tracker milestone this week - 100,000 projects logged. When I first designed Tracker I thought I'd be long retired and a multi-millionaire by the time anyone "clocked" Tracker - how wrong I was! Taking license fees, hardware and support into account, Tracker has probably cost our client £1-2 per project, but has saved £10s or even £100s per report in reduced admin costs, quicker report production and increased efficiencies. Not a bad return on investment. A few other customers are rapidly approaching the same landmark and so perhaps we need to look at extending Tracker to support 1,000,000 projects? Surely, I'll be retired by then...!? Back in March 2012 I blogged about the new Windows 8 interface and how it was a nightmare for laptop users. 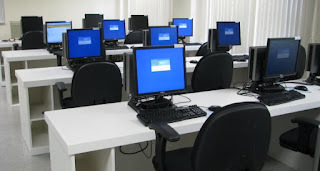 Gone was the Start button and some of the basics (like shutting the computer down) required a convoluted process of clicking and dragging off the screen. Madness. 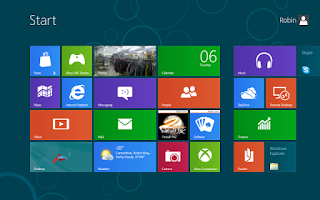 Well, finally, Microsoft have seen the light and the information being leaked about Windows 8.1 indicates that the Start button will make a reappearance and you'll be able to boot straight into the classic desktop, avoiding the new tile interface completely. Quick turnaround - nice thanks! Twice this week we've been asked for software changes which were urgent but quite complex (clients needed us to make changes to web-facing systems in time for demonstrations with new customers). On both occasions, were were able to do the changes on the same day - Dan and Ricky were the two programmers who specified, coding and tested the changes within hours of the requests coming in. "Thanks Ricky - really appreciate what you've done" was one of the responses. Good work all round. This is a bug fix release of Tracker Web Server, resolving some issues relating to photos being displayed (or not displayed) on asbestos- and combined-registers. Please contact the office to receive the update. We logged exactly 250 calls in April from our customers and resolved 92% on time (ie within the customer-set timescale). That's not bad but of the high priority ones our hit rate was "only" 84% - much lower than in previous months. In part, this is because some of the issues logged this month have been very demanding to solve and customers' expectations are very high. Kim, Elaine & I will be working hard in May to see if we can get the resolution % back up to 95%+. Tracker Upload Manager has been updated with an important new feature. This is an important upgrade and we recommend that all Tracker Upload Manager users upgrade their systems accordingly. We have a new Tracker Web Server update on general release.